Can one really learn Japanese without taking a class? There are many reasons an individual may decide they do not want to take a Japanese Class. Simply because you don’t have the money and another reason can be because the class times are not convenient. The main questions you have to ask yourself is what is necessary to learn the language? Is taking the classes or hiring a teacher worth the cost and the commitment to attend in order to successfully learn the language? If saving money is a goal and doing what logically makes the most sense then your next step is to find out how to learn Japanese without taking classes? And how to learn Japanese without a teacher. First, there has to be a commitment of time to focus on learning the language. This time can be 2 hours a week or more as long as there is a commitment made you will see a change. Having a study partner or people you meet with to practice what you learned weekly in your studies would help reinforce what you have learned. Japanese language partners are like having private teachers who are there for all the studying you need while learning another language. Meeting with them once or twice a week to study together will help you learn Japanese without taking classes and without a teacher. You will be surprised at how much you can learn when you commit to yourself and what makes sense to achieve your goal. Using Japanese with other Japanese speakers daily or weekly will indeed help you get good at speaking the language without taking any classes. Real life experience, practicing, and using the language is how to learn Japanese without taking classes. If you do not know how to utilize a word reference and follow instructions for using the word then maybe a language class is the best place to help you get started. Language classes are designed to teach a larger group of people a language. The class provides the environment to distribute teachings of one person to many people. The problem with this set up is one teacher is responsible to be there and teach a large group of students. In the event that there is just a single instructor accessible for a huge group of students, only a few will benefit from taking the classes even if the teacher is highly skilled. The task of finding a highly skilled Japanese educator is difficult. To actually find a teacher that understands the language and have a good background in the language in the real world is not easy. Some good things to check for is the course syllabus and a textbook. If this doesn’t seem quite right, then you are better off finding a private tutor or some language partners to study with. There are guides out there that with learning Japanese without a teacher. Learning Japanese On Your Own! Kanji should be introduced in your teachings in the beginning. If Kanji is not introduced in the beginning, then you will probably not have the best results. Along with learning Kanji, in the beginning, it is important to learn its importance in reading pretty much everything. Politeness is essential in the Japanese Society but it is just as important to learn the dictionary form of Japanese language before we start learning masa and desi. For example, if your first teachings consist of 「します、見ます、食べます」you will not be able to look up these words in the dictionary. To avoid mistakes like a beginner student saying 「うぜえよ、このくそばば」to their teacher it important they learn the dictionary form of the language before they learn how to conjugate. All of the Japanese grammar is founded on the dictionary form. How to learn Japanese without a teacher? Grab a Dictionary. The distinction between topic particles and subject particles is not that it describes the subject of the sentence. Understanding the real nature of the Japanese language is the only way to truly grasp the language and speak with native speakers. If you decide to go through the classroom or private instructor route you need to make sure you have an educator who is knowledgeable about their language. Native speakers as teachers are the best choice because who wants a 外人 … pardon me, 外国人 Japanese instructor, who is not able to communicate in Japanese. After understanding the Japanese language, it is good to learn some ordinary slang and easygoing discourse. You will benefit greatly by learning a style of talking that is utilized among natives and friends. I’m simply discussing ordinary stuff like 「てしまう＝ちゃう」 or utilizing 「の」 to make inquiries. Is it so terrible to educate, 「何してんの？」. Most classes do not teach this side to the Japanese language. Textbooks are not just for Classrooms. Try to find a great Japanese only textbook. You may not find it in your big box bookstores but there are some excellent ones that have the polite and casual side of the language. You will find in a Japanese only textbook material that can be accurate and credible. When utilizing a good Japanese textbook make sure you accompany it with study groups and practice. This is how to learn Japanese without a teacher. If you want to gain confidence and master the language classes will never be enough. You must still in some way teach yourself. It is important that if you are in a class, the teacher provides you with the knowledge you need to be able to practice the language without help at times. 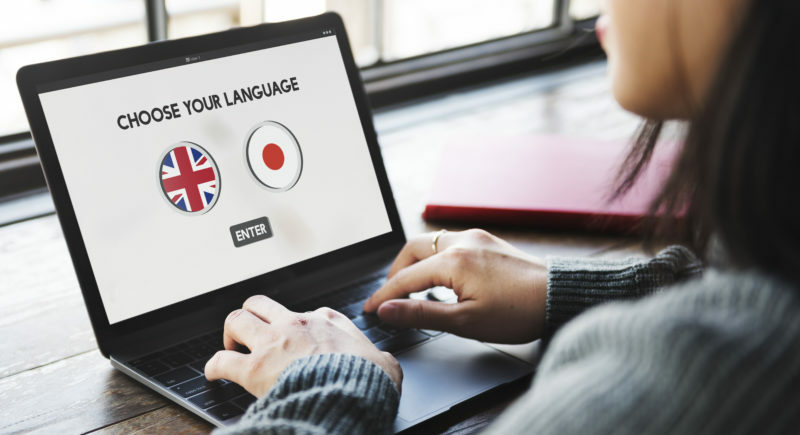 You will have to, at some point in learning another language such as Japanese, educate yourself either way if your goal is to fully accomplish learning Japanese. Even in the classroom setting of learning a language, you will still need to spend time in groups, a tutor and yourself. This is to encourage an understanding of the language outside the classroom. Practice should be encouraging whether you are taking classes, meeting with a private tutor or teaching yourself Japanese. Grasp a Real Understanding of the Grammar. Knowing the English interpretation is good but it will be more valuable if you know what is really being said. Understanding the language will allow you to interpret a native speaking to you or communicating with ease. In conclusion mastering, a language like Japanese requires a great deal of work but it does not have to bore. Study things that are of interest to you and what may have been the reason you decided to study in the first place is a good idea. Incorporate your new ways of learning the language into your daily life by having books, movies, and other media sources to help with your studies. If you decide to go the teacher route I hope they make it fun and interesting. Taking classes with a teacher can be helpful but if they are not good it can do more damage than improving. The Bulk of learning a second or multiple languages is dealing with real people, having a real conversation, and with real speakers of the language. Make sure you study the language and get experience in explaining them and using them casually.